After an eternity of waiting, Magic Leap has unveiled its augmented reality goggles - and they're called Magic Leap One. Assuaging fears that the glasses might be more of a cumbersome headset, Leap has shown the goggles in all their glory, and they're actually pretty svelte. The glasses use Magic's lightfield technology, which produces multiple focal points so holograms maintain visual clarity at different distances. It's something we saw in Avegant's own goggles. Not only that, but these holograms will co-exist with objects in the real world and stay in a fixed position when you shift your perspective. Magic Leap offers up a few examples of how you'll use them, from playing games to browsing the web on the go. While not clear in images, the glasses appear to connect to a small computer attachment called the Lightpack, which slips into your back pocket or can be attached to your trousers. The glasses come in two sizes, according to an interview with Rolling Stone, and the nose pieces, temple pads and forehead pad will all be customizable to ensure comfort and a good fit. You'll also be able to order prescription lenses. 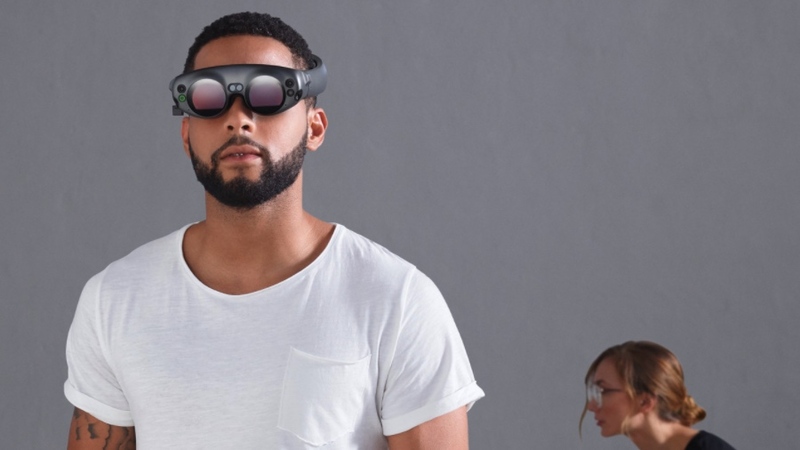 However, the glasses Leap is showing today are called the Magic Leap One: Creator Edition, named because they're built for early adopters and developers. Magic is treading carefully here: CEO Rony Abovitz said in the Rolling Stone interview that he expects early buyers to be "Everyone who would have bought the first iPod", though he also said, "It's definitely not just a development kit. If you're a consumer-creator you are going to be happy." The headset also comes with a controller that has haptic feedback and six-degrees-of-freedom gesture control, so you'll very much be able to interact with the holograms you conjur with Magic Leap One. The glasses will be shipping at some point in 2018, but that's all we know; no word on price or release specifics just yet.